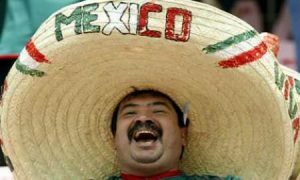 Cinco De Mayo, a holiday that at once celebrates Mexico’s victory over France, while at the same time forgetting to mention how short lived that victory was. One year later, France regained its footing in Mexico and the struggle continued. But leave it to Corona, Dos Equis and Jose Cuervo to gloss over those trivial details and bring us what many consider to be one of the best drinking holidays celebrated here in North America. So in the spirit of loose reasons as an excuse to drink, I am going to cite Mexico City as having one of the largest populations of Jews in all of Latin American, and Diego de Montemayor, having founded Monterrey, Mexico’s second largest urban area, as excellent reasons to celebrate such an illustrious holiday in honor of our members of the tribe to the south. While there are a number of beverages people choose to drink on this day, from overly sweet margaritas, to the watered down beer we have come to know as Corona, there is nothing I find as satisfying as Tequila, drank straight. But just because I am advocating drinking tequila straight, doesn’t mean I am advocating drinking any old tequila straight. Tequila is an incredible liquor, but so many people have an averse reaction to the stuff due to time spent in college taking shot after shot of the cheap crap and waking up the next morning with an unbearable hangover.